NRBP offers event and website sponsorship that provide member companies with broad visibility. With an array of options, we are able to accommodate budgets of all sizes. From business workshops to NRBP’s premier black tie dinner, a range of options is available. NRBP strives to match individual and company needs with the sponsorship to provide the greatest benefit and exposure. Click here for the event guide, which includes event descriptions and pricing, and contact Barbara E. Kauffman by email or phone, 973-242-4219. Options include banners ads on multiple pages of the NRBP website and promotion in NRBP’s Member Update and President's Message emails. Premium business listings are included in the sponsorship or may be purchased separately. Website sponsorship is generally for a term of one year, but short term sponsorship is also available. Business card to full color advertisements are offered to members annually in the Events Calendar and Sponsorship Opportunities Guide. 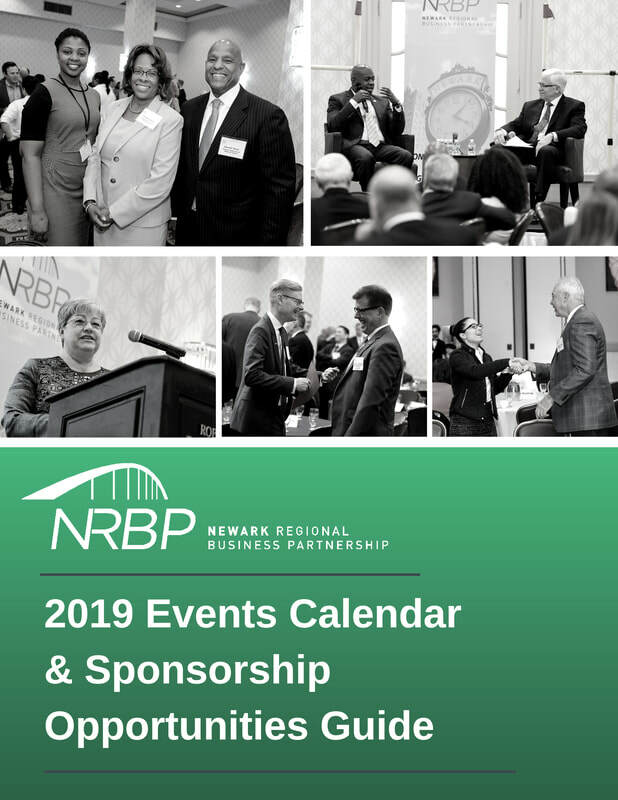 The Guide is produced each December and is used throughout the year to promote NRBP, our events, and our members. Click here (or on the image) to view the 2019 Guide. please contact Maya Curry at 973-242-4229 or at mcurry@newarkrbp.org.